How do you experience a person's soul? Is it in the words they speak, energetic vibrations, colors? I wanted to express and celebrate uniqueness and individuality of a person beyond their outer beauty. Each model stood, sat, and lay on her own canvas that was painted by her movements during our photography session. (You can catch glimpses of canvases peeking out on a few of the shots!) To celebrate the unique beauty of each model, they were photographed in their own specific colors that correlated to their strongest personality characteristics. Model: Miranda. I actually met Miranda online in a local photography group. She is a passionate environmental activist, a lover of nature, dogs, and photography. Originally from Pennsylvania, she moved out to San Diego a few years ago because "the west was calling." She has just been accepted to a graduate program for environmental photojournalism, where she will continue her passion for protecting our natural resources. When I asked Miranda to describe her strongest personality traits, she answered: stubborn, curious, free-spirited, adventurous, firey, and independent. According to my (very not scientific) research, stubborn and curious = yellow, free-spirited = purple, adventurous = orange, firey = red, and independent = green. Miranda loves most in life: road trips, her dog, exploring new places, soaking up beautiful views, and being with her squad. Her Life Alive moments (the moments she feels happiest in life) include hiking, biking, snorkeling, eating tacos, playing with her dog, and road tripping. I am so thankful to have met this firey souled woman! Model: Yasmin. I met Yasmin about 5 years ago when I was stationed in Texas. Her husband and I were attending the same school together and we all became fast friends! Yasmin and her husband met in Florida where they both grew up. Yasmin is such a creative soul and is talented at just about anything she picks up! She has worked in everything from corporate medicine to massage therapy, palmistry, dancing and performing arts. Yasmin described herself as ambitious (red), imaginative (yellow), sensual (pink), mystical (purple), and charismatic (blue). She loves most in life: love, adventures, music, dance, and helping/healing others. Yasmin's Life Alive moments include hula hooping, fire dancing, dance, massage, yoga, metaphysical subject conversations, festivals, and socializing. I am so grateful to call this magical woman my friend! Model: Mercadez. I met Mercadez through my roommate, Anna. Mercadez and Anna have been best friends since middle school, and stayed friends through multiple moves, living in different states, and living on different continents! Mercadez even lived with us for a bit when she moved to San Diego from Spain, and I had the pleasure of getting to know her. She is originally from Klamath Falls, Oregon, has lived in a few other states, and overseas in Spain! Mercadez described herself as bubbly (yellow), witty (orange), nerdy (green), compassionate (blue), and adventurous (orange). Her favorite things in life are her husband (and his puns), music, her close friends, and dogs. Mercadez's Life Alive moments are modeling, yoga, jogging, and playing video games. I feel so lucky to have such an incredible woman in my life! Overall, the shoot was a blast! I probably had the most fun, while getting to splatter paint and generally make a mess all over my models. How many women do you know that would volunteer to get paint thrown all over them?! The girls ROCKED IT! There was tons of giggles, laughter and fun! I'm just so proud and grateful to be surrounded by such influential, confident, and strong women. Colors of a Soul was photographed by Life Alive Photography at my in-home studio in southern San Diego, California. HMUA Cheryl (Cherwear.com) (from EC Style Bar) provided her hair and makeup services and the gorgeous flower crown and bouquets were provided by Rebecca Barney (Barney Design). The Colors of a Soul body paint photography shoot inspiration came to me from the "Love is Art" canvas painting kit (Love is Art). I would love to hear your input and thoughts about the shoot! Comment below or contact me for any questions! Jina - These are different but very pretty! Jennifer Garza - This is definitely a cool concept. Portraiture meets Fine Art with a little bit of Boudoir thrown in too. I love all the bright colors and flowers mixed into it. Tiara - This is such a great way to showcase your models colors of their souls! I like to think I'm red & blue mostly. Jenny Roth - Your tribe is lucky to have you! Such creativity. I love the expressiveness in the models and the modality. Aryn Baker - I love these colorful photos! Jenn - Yay! I love this shoot. Looks like a fun Project. Hooray for celebrating unique beauty! We are each beautiful in our on way <3 Thanks for sharing! Lynn Marie - Wow! These are all so unique! I've never seen anything done quite like this. Very cool! Misty - I love the concept behind the whole shoot and what wonderful results! Awesome job! Brittany Slaughter - Oh these are super creative! Laura - Such a great shoot with gorgeous models! Melissa Johnson - These are stunning!! And so unique, I've never seen a shoot quite like this!! LOVE! Alissa - I've never seen anything like this.. so incredible! Thanks for sharing! Sharee Davenport - These are so colorful and fun! I really love the close up one with her eye. Alyssa Carole Bouma - I love the story you told to go along with these images! Heather - Wow, these are so eye catching and awesome! I love the creativity and your inspiration. 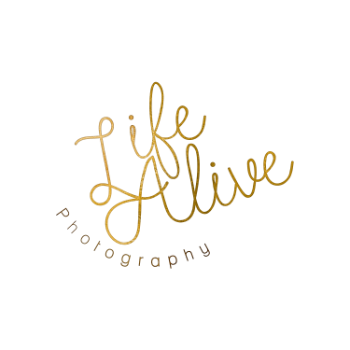 Life Alive Photography - Thank you so much! Katelyn, I appreciate your (EC Style Bar's) help so much in connecting us with Cheryl! I am excited to work with you all again in the future!